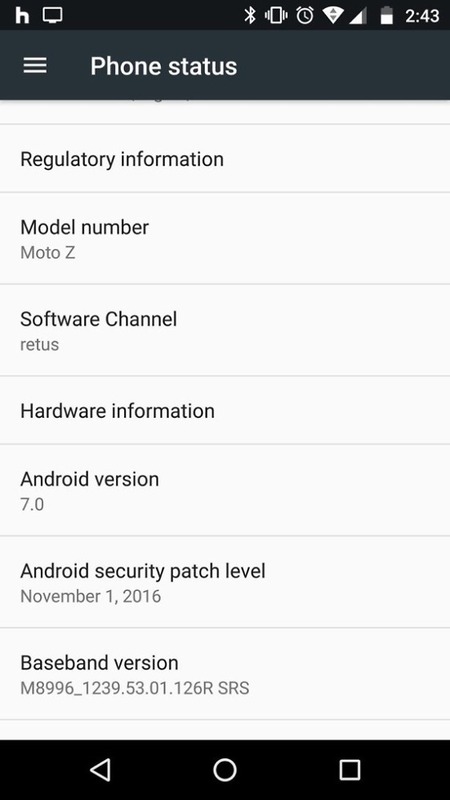 According to at least one reader, the unlocked variant of the Moto Z here in the US is receiving Android 7.0 “Nougat” via OTA update. 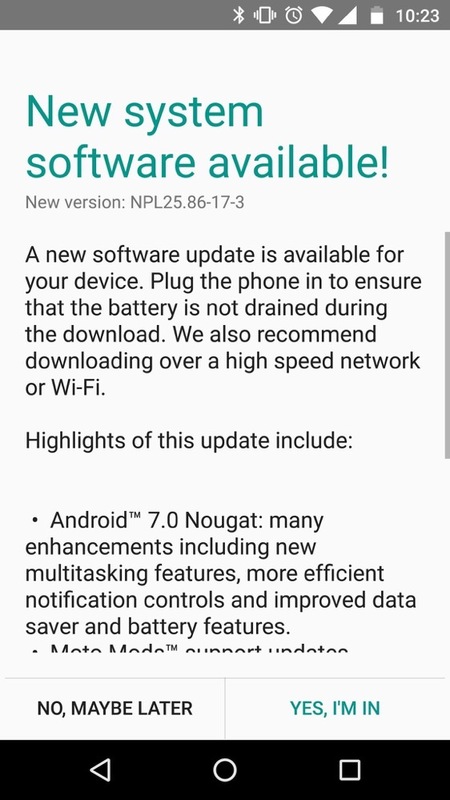 Listed in the changelog, the new version is labeled as NPL25.86-17-3, and while updates are always good (especially big Android OS ones), the security patch level is only listed as November, 2016, meaning owners are missing out on a couple months of security patches. Of course, all of your standard Nougat stuff should be inside, including support for Multi Window, “efficient notifications controls,” as well as battery improvements. 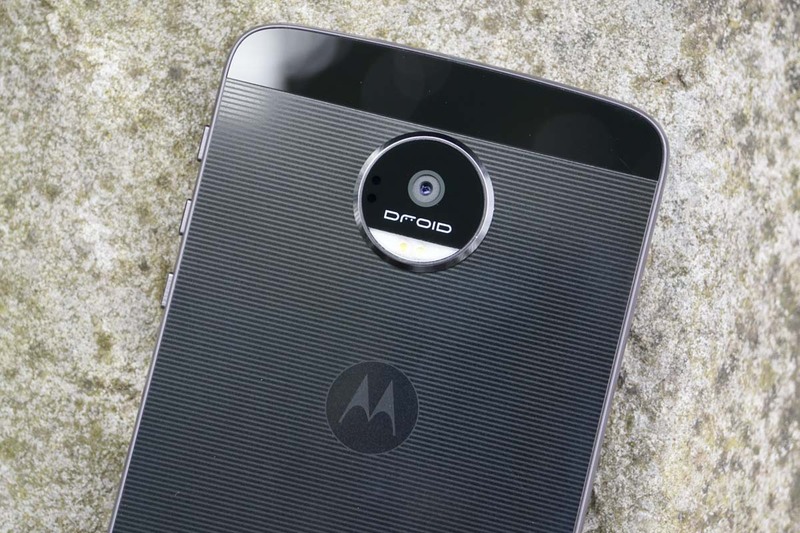 Unlocked Moto Z owners, has it hit your phone yet?